Juho Lammikko, 22, has appeared in one game with Springfield this season. The 6-foot-2, 191-pound native of Noormarkku, Finland, appeared in 59 games with Springfield in 2017-18, producing a career-best 28 points (8-20-28). SUNRISE, Fla. – Florida Panthers President of Hockey Operations & General Manager Dale Tallon announced Tuesday that the Panthers have recalled forward Juho Lammikko from the club’s American Hockey League affiliate, the Springfield Thunderbirds. 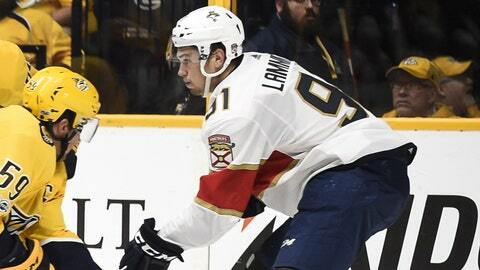 Lammikko, 22, has appeared in one game with Springfield this season. The 6-foot-2, 191-pound native of Noormarkku, Finland, appeared in 59 games with Springfield in 2017-18, producing a career-best 28 points (8-20-28). He was originally selected by Florida in the third round (65th overall) of the 2014 NHL Draft.